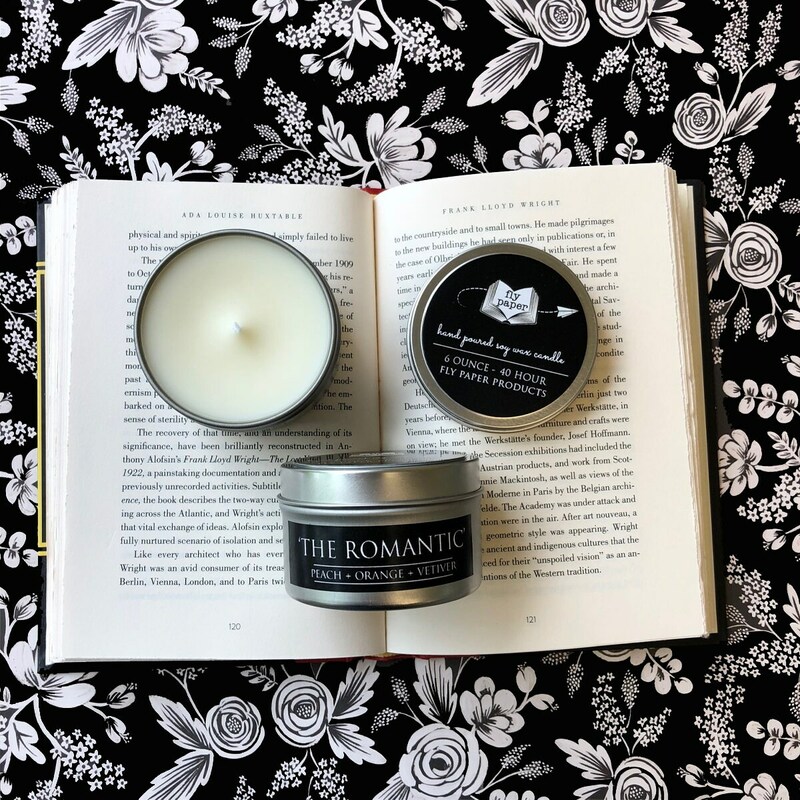 Our literary candles are perfect for any book and candle lover. The candles were inspired by my love of libraries, books and bookstores, and the stories that take us on each adventure. A candle is the perfect thing to snuggle up and get lost into the pages of a book with. The Romantic' is inspired by the heroine and the leading man as well as the spirit, emotion and desire of romance. The scent is a sophisticated floral blend of peach, orange and notes of vetiver. Our hand poured candles have a special soy wax blend which ensures that the scent will last the entire burn. By using soy wax we are giving you a better candle and using a sustainable and renewable resource that is made in the USA. We use natural cotton wicks in all our soy candles as well.